WHEN YOU WORRY ABOUT THE CHILD YOU LOVE: Emotional and Learning Problems in Children by Edward M. Hallowell. 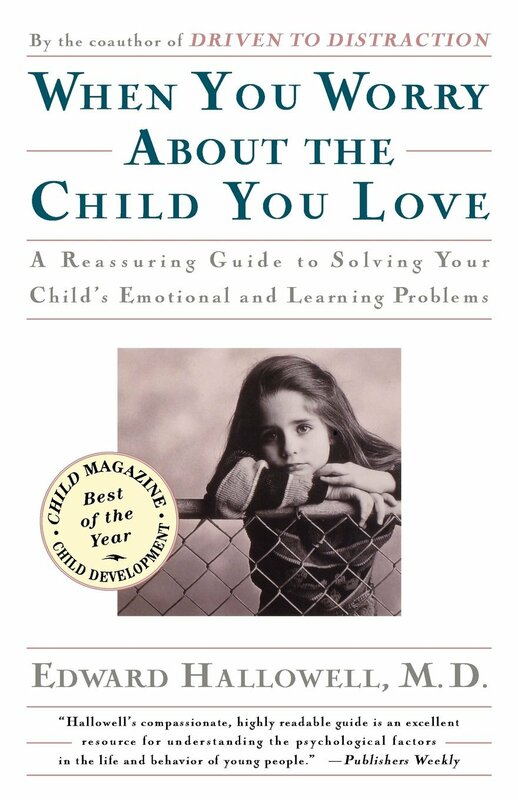 This book combines a contribution of child-rearing advice along with research on childhood emotional and learning problems. This book will help you understand why your child is unhappy or underachieving, will help you help your child to manage their emotions, and perhaps most important, will help parents do what they can and stop blaming themselves. Pp. 288.